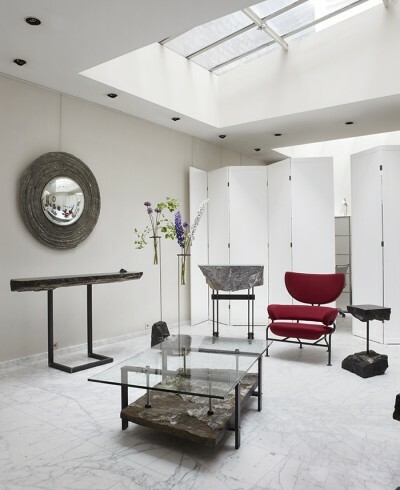 This week we’re shining our spotlight on rue Bonaparte in Paris! We want to share with you just a few among our favorite galleries in this historic heart of Saint Germain des Pres. 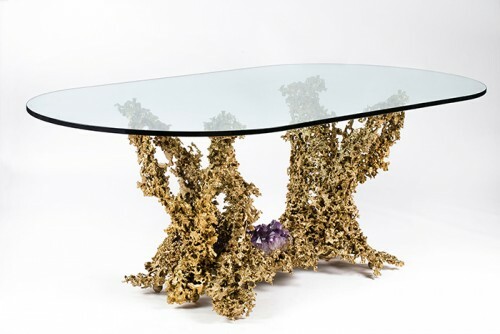 Galerie Yves Gastou specialises in 20th century and contemporary design and its always exciting to visit the gallery. We wrote about their wonderful ‘Hommage to Philippe Hiquilly’ exhibition in a previous post. The gallery first opened with an exhibition of the work of Ettore Sottsass in 1985. Sottssas also designed the gallery and the distinctive ‘terrazzo’ front (marble and cement). 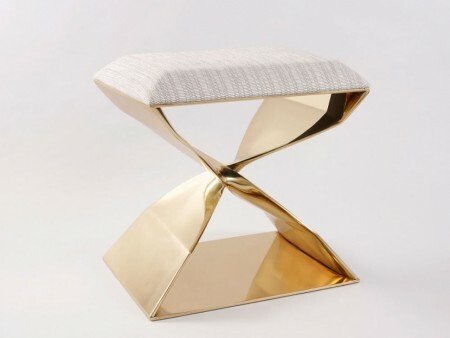 Gastou shows an impressive range of design from the 1940s-1980s along with contemporary pieces. Eclectic and inspiring, we love visiting here! 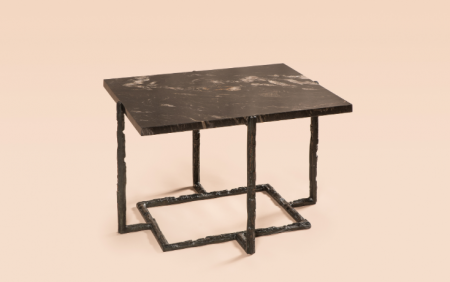 Console table with two levels, after a drawing from the 1970s by Philippe Hiquilly. 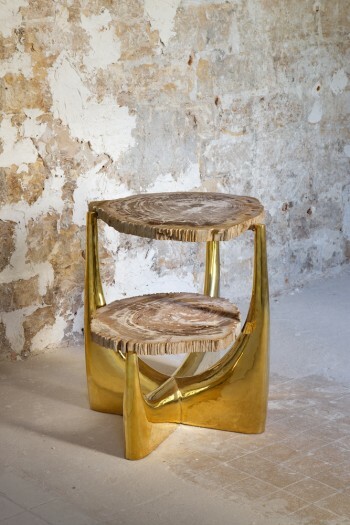 Base in hammered brass and tops in fossilized wood. Image courtesy of Galerie Yves Gastou. The work of Gerard Kuipjers in Galerie Gastou. Image courtesy of Galerie Gastou. 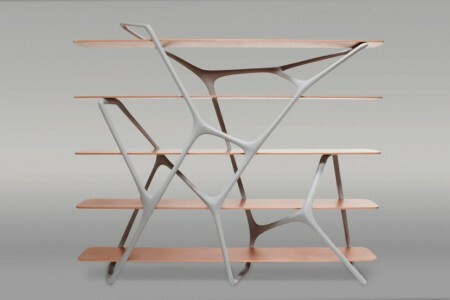 Galerie BSL is resolutely contemporary in the design they show. 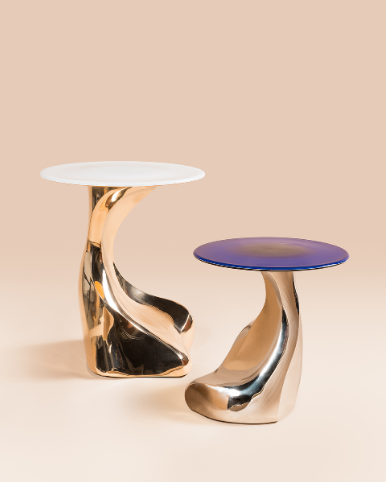 Its a jewel of a gallery and they show the work of a diverse range of designers like Carol Egan (which we love), along with pieces by Noé Duchaufour-Lawrance and Nacho Carbonnel among others. Jean-Jacques Dutko is the world renowned specialist on the work of Eugene Printz. 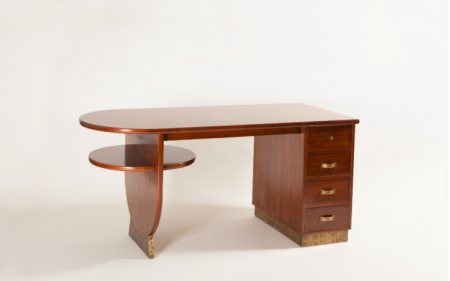 Along with exquisite Art Deco pieces, Galerie Dutko also shows modern and contemporary design so that we find a wonderful and original mixture of pieces whenever we visit. 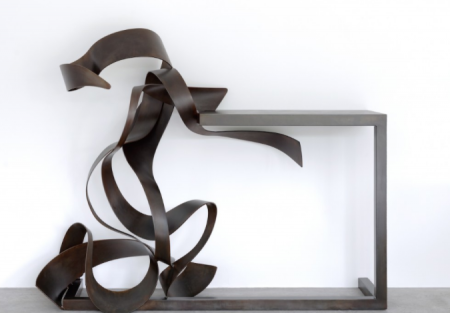 The elegant forms of Eric Schmitt’s beautiful bronze guéridons and glass vases mingle with the stark and minimalist work of Bruno Romeda…..and you spy a beautiful Art Deco piece a few steps away. There is a sense of drama that is irresistible! They also have a gallery on Ile Saint Louis. We hope you enjoyed this small selection of some of our favorites to inspire you!